SY.1441 visited the ashpit at Zhuangmeizhan on the morning of 24 November 2015. 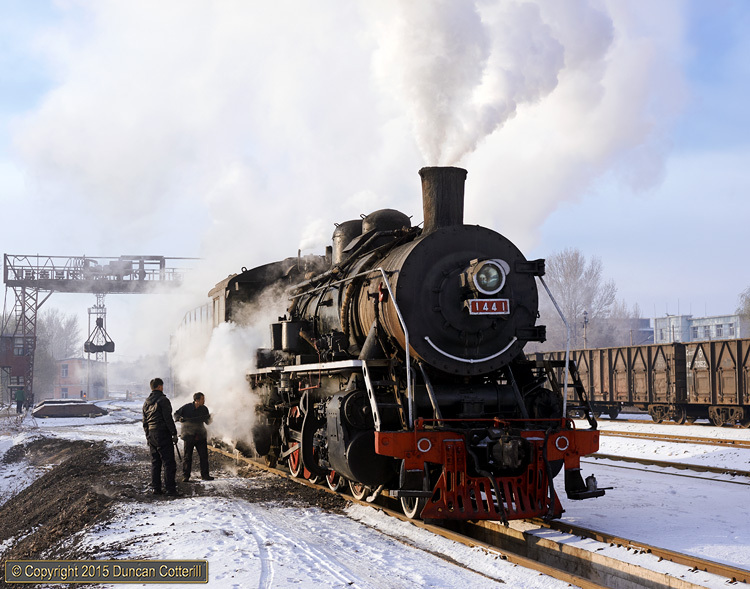 Pingzhuang's steam locomotives return to Zhuangmeizhan at shift change time for servicing and to change crews. The locos were usually there for 08:00 and remained for around an hour before going back to work.